China's top female director, Li Shaohong, talks about life, and her new film, Baober in Love. Sitting in her Paris apartment, in a pair of blue jeans and tussled hair, Li Shaohong is the unlikely director of China's newest magical realism blockbuster, Baober in Love. The only bit of femininity in the room is her shoes. "Zhou Xun bought these for me," she says laughing, "I don't really have time for shopping, even in Paris!" Li is one of the growing numbers of female directors in China, pushing the boundaries of film-making both within China, and internationally. 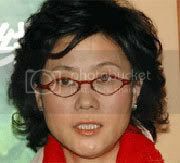 After the successful release of her film Bloody Morning in 1990, she found herself categorized as one of the "fifth generation" directors, with the likes of Zhang Yimou and Chen Kaige. From her early works such as Silver Snake Case to her most recent TV series, Thunderstorm, Li has received praise from audiences and critics alike meriting her the position of China's best female director. career in film. "The army was all about rules and it didn't suit my personality," she says. "Film is not just about dreams, but it is a way in which I discover my true self." With her new film, Baober, Li has broken the mould of her previous cinematic works, steering away from the beautiful and pure style, to magical realism. "I like to let my mind work all the time, to try all the things that I haven't tried before," she says. "I had the idea for Baober in Love many years ago, then I worked with two writers on making it a reality," she continues. Li says that she battled for years on how to convey the feeling that the world we are living in is changing so fast, that things are broken, and how we are struggling to adjust ourselves to this time. "Who can imagine that now we live by the slogan, 'spend money and enjoy life'," she asks. "As we move rapidly towards development, we should also take care of our world's spirit. That's what I want to express in this film." To capture this feeling, Li used the latest in film technology. "It may not be a perfect work, but we tried to be a little bit more imaginative while we were working on it," she says. The media has been harsh with Li, questioning whether or not a sixth generation director can create a film about a 20-something woman finding love. She scoffs at the doubt: "I'm 47 years old, so does that mean I can only make films about mid-life crises," she says. "A director should never just tell their own story, this is a basic rule of any creative work." And its not criticism of her work that is Li's main concern as of late. She seems focused on her role as a mother, and a wife to Zeng Nianping. She worries that she has neglected these aspects of her life on her road to success. Li Shaohong has her own production company. She is a director and a producer at the same time. She signed contracts with some good actresses and actors who often appear in her films and TV series. Another important person, her life partner and best cooperator is her husband Zeng Nianping, a tall, handsome and very professional cameraman. "We met in the Beijing Film Academy. At that time I was a student, he was a young assistant professor. "Li says with emotion: "He is a person who is born for shooting films. He can understand my intent very easily. " In many years, Zeng always support Li Shaohong in her back dumbly. "Love is really a very subjective thing, if you think it's romantic, it's romantic; if you think is good, it is good!" "Once my colleague told me that I should talk to my husband like a spouse instead of a like director," she says. "To this day, I feel most guilty about going to shoot a film when my daughter was only seven months old." Li says that this is her biggest fear, becoming a reality: to lose all aspects of femininity, of motherhood, for her career. She values her strengths as a female director as her sensitivity and her humanism, but worries that if she takes the time to be a mother, to be a wife, to cultivate these emotions, that she'll fall behind. "In this society, a female director is easily forgotten if she doesn't work for two years," she says. But she goes on to say it is unfair - and that she refuses to be a victim either way - a victim of society's assumed roles for women, or a victim of society's roles for directors. "Being a woman is what keeps me in this game," she says. "But it is my personal fate that inspires me." In essence, she's trapped, and it is too late to turn back. Li Shaohong's name has become almost a household name, related to TV series and avant-garde filming methods. And now she shows the world that Chinese cinema can be re-thought, re-constituted, and re-filmed in this new manner. Audiences across China are saying: "Of course it is Li Shaohong who has brought us Baober, it would be her to shoot a film like this!" 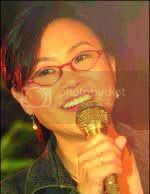 Baober in Love tells the story of the eponymous Baober, and her experiences of growing in to adulthood through the years of China's opening and reform. From the time of her birth in 1979 in an unnamed city, Baober's imagination takes flights of fancy over the roofs of her father's steel factory. When adolescence strikes, the ancient city echoes her transformation, its changes reflecting her own racing hormones. Her playground is deserted, and her home is torn down to make way for a new apartment complex. This is the time for Baober to begin to search for love, and one day discovers a video tape on which a strange man confesses that he feels his life and marriage have lost its meaning. Baober pledges to find the man, and save his soul with her own love for life. An unexpected encounter throws the man - Liu Zhi - and Baober together, and the pair fall in love and start a new life together. While Liu has difficulty coming to terms with his newfound love, he works hard to embrace the love that Baober showers upon him. Problems arise when the new evil of materialism rears its head. For Liu, all things material equal love, while for Baober, they represent the opposite values, and Baober moves on. She then meets a disabled young man, Mao Mao, and the pair develop an appreciation of each others' shortcomings - but her love for Liu is not yet spent. "Shooting Baober was my most challenging filming experience," explains Li. "This is not a linear story - it's about a person's spiritual world. You can't apply judgments of what is 'moral' or 'immoral' to her behavior. She views people differently, and finds beauty in unlikely places." 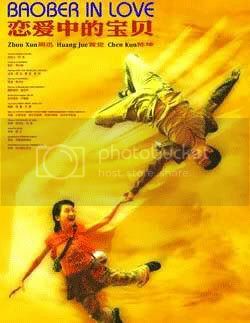 Certainly, Li's subject matter and cinematography will be a shock for Chinese audiences, with new post-production techniques provided by the same company behind the Oscar-winning French movie Amelie Poulain. Li says the total special effects budget was US$1.5 million, but it ends up of over 5 million and one scene alone cost US$130,000. "It's quite the scene," enthuses Li. "Little Baober is standing in front of a ruin shouting, while high buildings tower up around her. Then, little Baober changes into adult Baober, to reflect growing up in contemporary society."